DegreeDiscussion.com • View topic - HELLO LEVICOFF/DOUGLAS-CSU has been REGIONALLY ACCREDITED! HELLO LEVICOFF/DOUGLAS-CSU has been REGIONALLY ACCREDITED! Enjoy the last word, Vinny. Last edited by vinny123 on Wed Aug 12, 2015 2:19 pm, edited 1 time in total. [quote="vinny123"][quote="Rich Douglas"]Enjoy the last word, Vinny. VINNY: This is not a matter of "enjoying" the last word or one oneupsmanship, which is YOUR issue, not mine. It's a matter of providing relevant and FACTUAL BASED INFORMATION, unfettered by egocentric motivations to demonstrate how great and accurate we are because one possesses a "doctorate", thereby frequently leading one to fallaciously believe that their feedback and opinions are uncontestable. In short, this has been the modus operandi of Douglas and Levicoff in endless numbers of topics whereby they have used their "illustrious", "Ivy League" doctorates to bully, abuse and attack posters who disagree with their frequently inaccurate feedback and positions. [quote="vinny123"][quote="vinny123"][quote="Rich Douglas"]Enjoy the last word, Vinny. Has he left? Someone open a window, the BS is a bit ripe. Oregon wrote: Has he left? Someone open a window, the BS is a bit ripe. I didn't hear you bang the door. Yes, it is interesting that SCUPS evolved into WASC Accredited CalSouthern. Yes, as noted, not only did CSU evolve from SCUPS but went directly from DETC status, without going through a candidacy period, to a regionally accredited academic institution . Not only was this a significant attainment but demonstrates the substantive nature of the school and it's academic programs. Most significantly, this major achievement demonstrates to posters that they cannot rely on the self proclaimed "experts" on this and related websites who either directly or subtlely belittle or devalue certain schools that they deem lack credibility, based on nothing more than their possessing "Ivy league" (:shock: )doctoral degrees. vinny123 wrote: Most significantly, this major achievement demonstrates to posters that they cannot rely on the self proclaimed "experts" on this and related websites who either directly or subtlely belittle or devalue certain schools that they deem lack credibility, based on nothing more than their possessing "Ivy league" (:shock: )doctoral degrees. I realize you lack any critical thinking skills, but perhaps you can try. What is it--exactly--that people said about SCUPS/CSU that was incorrect? Please cite your examples so all may see. DOUGLAS: I realize you lack any critical thinking skills, but perhaps you can try. 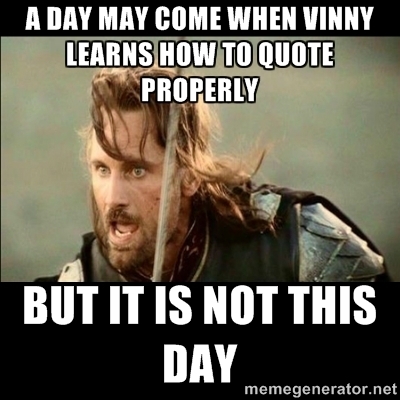 VINMY: Ah ha, Douglas is back with his typical pattern of defensIveness. Of course we recognize without question your incredible level of critical thinking skills as evidenced by your brilliant revelations and vehement promotions of the unaccredited MIGS, incorrect predictions regarding NCU not receiving regional accreditation and your put down comments about SCUPS/CSU. DOUGLAS: What is it--exactly--that people said about SCUPS/CSU that was incorrect? Please cite your examples so all may see. VINNY: Poor Douglas, we have been through this ad infinitum within the context of this thread. In addition, if any poster cares they can conduct a search on the DegreeInfo Distance Learning website and will see the disparaging comments you made regarding SCUPS and CSU. DOUGLAS: As for credibility, you have absolutely no grounds to suggest others haven't any. VINNY: I'm not suggesting anything but just presenting facts! You and good ole Levicoff have a history, a pattern, of using your doctorates to push through your opinions as facts, when confronted by substantive feedback that you can't defend against. Just an observation that many posters are well aware. DOUGLAS: What have you done? VINNY: Let's see. I strongly contested your vehement promotion of MIGS, a diploma mill, and was proven correct. I predicted that NCU would attain regional accreditation when you were very skeptical and was 100% correct regarding CSU attaining RA when you were devaluing SCUPS and CSU. DOUGLAS: You're just an internet troll. VINNY: Not a bad predictive record for an internet troll. VINNY: And thank you for confirming exactly what I have been stating all along that when you have a zero batting average or weak unsubstantiated arguments or opinions, that you present as facts, you shove your degrees in posters' face in lieu of substantive facts. Vinny, you're such a child. You cannot even give examples of the claims you make. In fact, you're a liar. Congratulations. A lying internet troll. You must be proud. DOUGLAS: Vinny, you're such a child. You cannot even give examples of the claims you make. VINNY: But a very perspicacious child. DOUGLAS: In fact, you're a liar. VINNY: Folks, this is what people do when they get tagged. They attempt to devalue and undermine those who expose the facts! DOUGLAS: Congratulations. A lying internet troll. DOUGLAS: You must be proud. VINNY: Thank you. I am. Wouldn't you be if you had a 100% batting average? DOUGLAS: Vinny, you're such a child. You cannot even give examples of the claims you make. In fact, you're a liar. VINNY: YAWNNNNN! This guy can't accept the fact that he has a history with his inaccurate predictions and got held accountable for using his doctorate as a means of promoting his opinions as facts and bullying other posters into submission. DOUGLAS: You cannot even give examples of the claims you make. VINNY: Douglas, good night. You can continue your defensive posturing tomorrow.